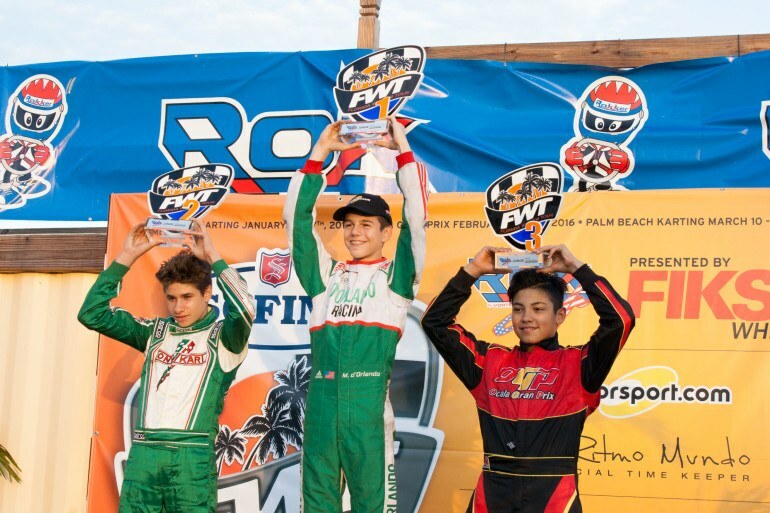 January 19, 2016 (Homestead, FL) — ROK Cup USA’s 2016 season kicked off this past weekend at the 1st round of the Sofina Foods Florida Winter Tour presented by Fiske Wheels. 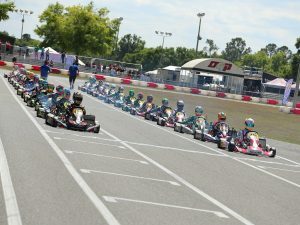 Taking place at Homestead Karting, the event boasted nearly 180 drivers in seven classes, the biggest ROK event to date in the United States. The weather made for some interesting on-track and off-track situations, but as always the racing was extremely competitive on board the VORTEX engine package, making for some heart-pumping and exhilarating race action for drivers and spectators alike. Now in its 2nd season as part of the Florida Winter Tour series, the ROK Cup USA weekend hosted a field of drivers that was a veritable who’s who of racing talent, from F1 and Indycar star Rubens Barrichello who raced under the Ocala Gran Prix tent and Formula E driver Nelson Piquet who raced with Piquet Sports, to top karting names like DR’s Danny Formal, Orlando Kart Center’s Ryan Norberg, Pserra Racing’s Antonio Serravalle, and Energy’s Jak Crawford, just to name a few. Drivers faced off not only against each other, but also Mother Nature as they battled extreme rains and wind, and tornado warnings throughout the weekend. But it was really the racing that stole the show. Every class was stacked with competition, and drivers were battling for positions not only at the front but for every spot in the field. 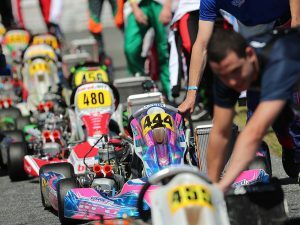 The brand is building on the momentum of the FWT ROK weekend, as it will host the 1st round of the ROK Cup USA Florida Championship the weekend prior to the 3rd round of Florida Winter Tour at the Palm Beach Karting track. 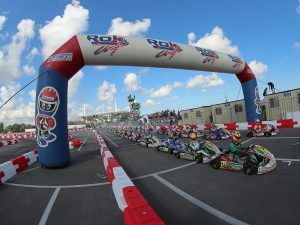 Price packages and entry information will be available soon, so be sure to visit the official website, www.rokcupusa.com and follow on social media @rokcupusa to stay in-the-know about all things ROK.